In order to keep and maintain clients we have to take care of our clients. In the investment world there are 2 types of ‘care’ for the client; Fiduciary Standard of Care and Suitability Standard of Care. Fiduciary Standard of Care basically means doing what is best for the client and being liable for decisions. 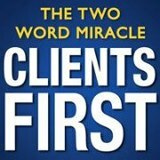 Another way to say this is to put the client’s interests first. Suitability Standard of Care means that one suggests what product/concept is suitable for the client given certain objectives. Our goal as a third-party pension administrator is to always put the client’s interests first and to design the best plan for them not only for today, but also for tomorrow. This means being proactive on plan design, maintaining on-going open lines of communication with advisor and client. This also means we will not just throw together a document, we will design the plan with the client for the client. We also disclose any revenue sharing we may get. We focus on plan design and administration and we let your advisor/RIA give you advice on the investment side of the plan.